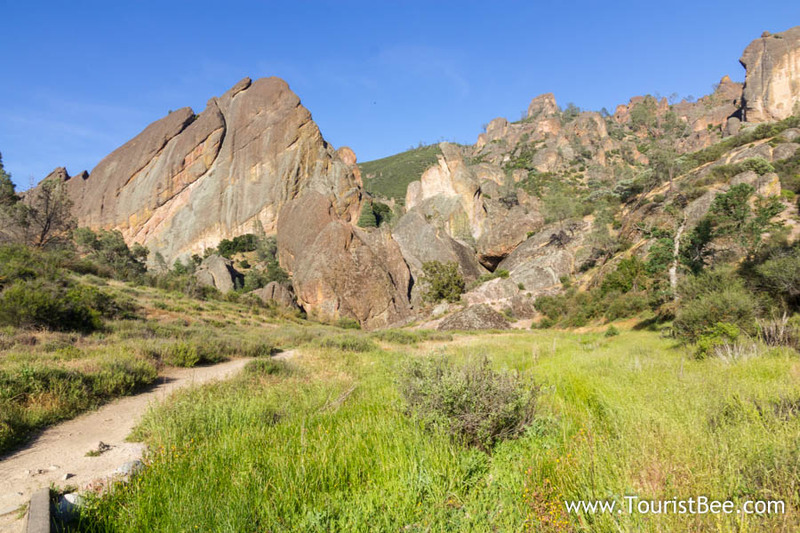 This article appeared first on TouristBee.com and was is titled 2 great family hikes in Pinnacles National Park, California. Pinnacles National Park was a very nice surprise for us. We found two beautiful family hikes that we enjoyed a lot as a family. So, come along with me as we explore them. 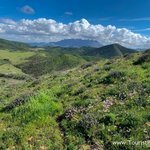 What to expect at Pinnacles National Park? We have traveled to this new national park without knowing exactly what to expect. It was on our way to and from Monterey and we have always wanted to visit it. We knew it was in a dry area of California and we expected a lot of desert type terrain. However, at the beginning of May, we were surprised to find lots of green vegetation, spring flowers and streams meandering through the park. pinnacles is much different than Sequoia or Redwoods national parks. 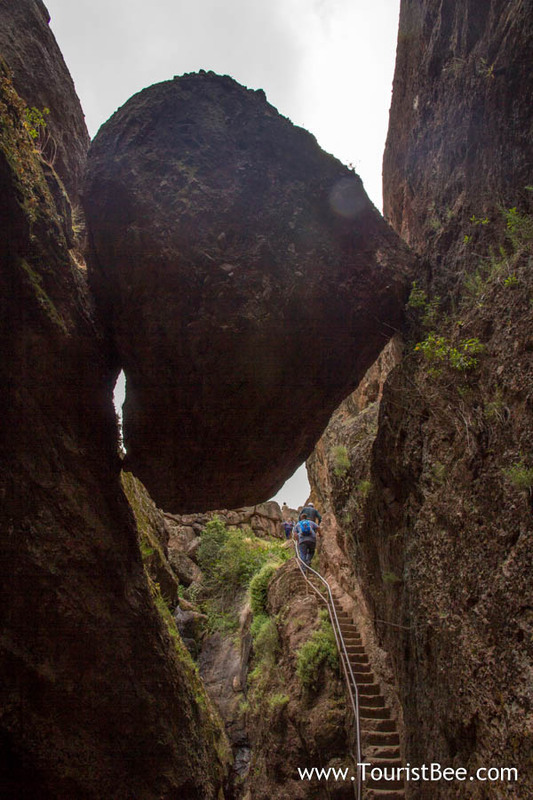 Instead of mighty trees and dense forests, the highlights for us where the two trails that featured rugged and tall, rocky peaks (the pinnacles) and narrow and twisty caves. Our kids really enjoyed the hikes and they actually referred to them as very fun. Since my daughter doesn’t like hiking, to hear her saying that these trails were fun was great! Bear Gulch is a narrow short canyon otherwise known as a gulch. 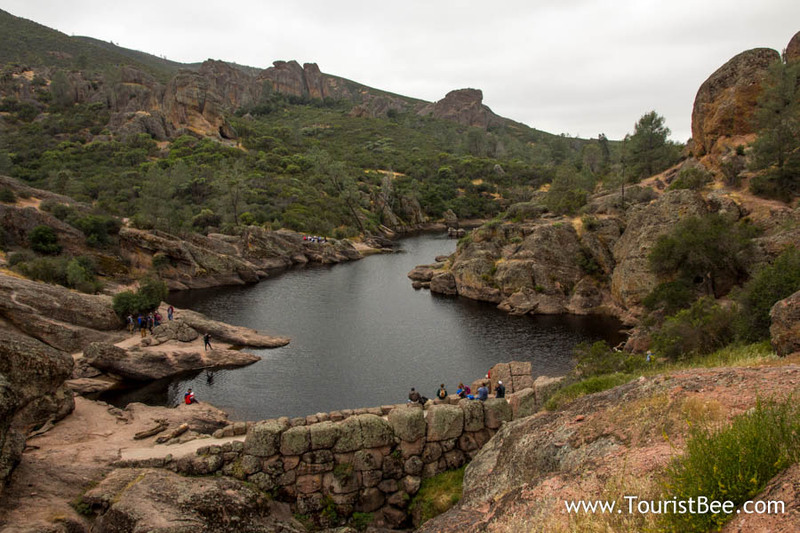 It is located on the East side of Pinnacles National Park, which is the most developed side. This is a well maintained trail that has many elements in it: forest, streams, caves and high cliffs. Once we made it to Bear Gulch reservoir we decided to return on the high cliffs trail so we completed the loop giving us a great perspective from above. 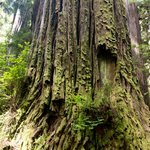 If you are looking to visit Pinnacles you can find budget hotels in the nearby King City which is a good point for visiting both the East and West sides of the park. On the West side we did a similar loop but the trail was called Balconies and a featured a cave and a return loop going on top of the cliffs. Balconies trail is very similar to Bear Gulch trail. The only difference is that the Balconies Cave is much shorter than the cave at Bear Gulch. However, this cave has a lot more twists and turns and the trail has a lot more rock scrambling than Bear Gulch. This was a lot of fun for our kids. If you are just interested in visiting West Pinnacles you can stay much closer in Soledad. You can find budget hotels in Soledad here. Since there is no road that connects the east and the west sides of the park we visited Pinnacles in two separate visits. Going north to Monterey we stopped on the East side while on our way back south from Monterey we stopped on the West side of the park. This means that if you want to see both the East and the West side of the park you need to add a good hour and a half to loop around from one side to the other. If you are looking to visit Pinnacles you can find budget hotels in the nearby King City which is a good point for visiting both the East and West sides of the park. 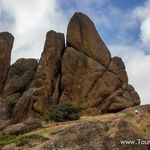 If you just have time to visit West Pinnacles the you can stay much closer in Soledad. You can search for great hotel prices in Soledad here. If you plan on visiting you must check the official Pinnacles web page because these really fun caves are closed frequently. Just check before you go. 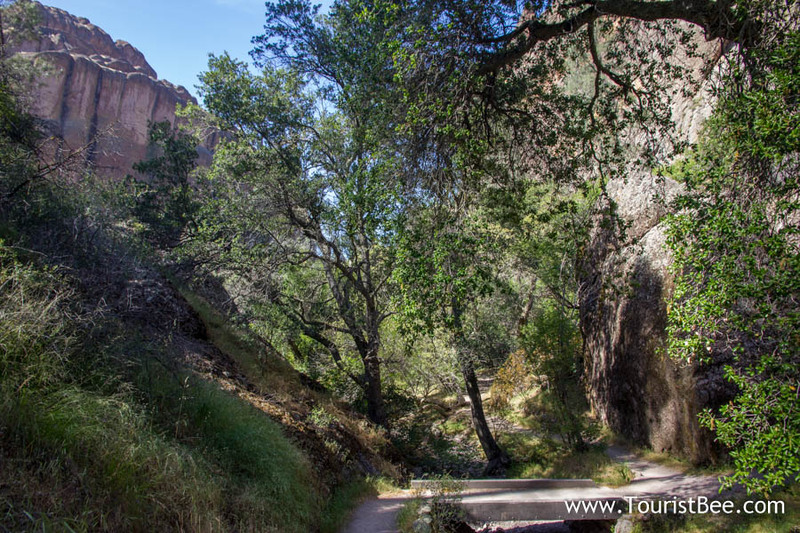 Is it worth visiting Pinnacles National Park? Absolutely! Summers can be very hot, but a visit to California’s newest National Park will prove to be a lot of fun for the entire family.